Turn your Hyundai vehicle into top cash. Hyundai Car Wreckers Adelaide are turning Hyundai cars, trucks, SUVs and vans into instant cash all over Adelaide. For an instant quote up to $9999, contact us today. Hyundai produces top of the line autos but no car, truck, SUV or van lasts forever. If your Hyundai is scrap or damaged condition (from an accident or just old), there is no reason why you can’t sell it for a good price. Gone are the days when you have to pay for a “Tow Truck” to remove your scrap vehicle – with Hyundai Car Wreckers Adelaide, we pay you! 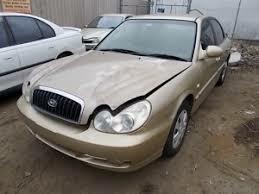 Hyundai Car Wreckers Adelaide will buy your scrap vehicle, no matter what condition it’s in. We offer top cash offers of up to $9999. You will receive an honest and accurate price for your Hyundai vehicle. Hyundai Car Wreckers Adelaide is Adelaide’s most trusted car wrecker who offers top cash up to $9999. Sell your Hyundai car, truck, SUV or van for instant cash with us. We believe in offering a fair price, so we don’t have a set price but rather, provide an accurate cash for car offer for your vehicle, based on its condition. We find all parts of your vehicle to be highly valuable including its individual parts and its precious metals. We are the Wreckers who provides Eco- friendly Car Disposal service. 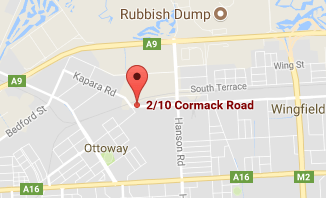 Contact us for a cash quote for your car today at 0477 413 136. With Hyundai Car Wreckers Adelaide’s 3-step process, we can guarantee a quick and hassle-free process that can be completed in as little as 45 minutes. Whereas other options of selling your car such as selling to a private Car buyer can take up to months of hassle, we can get the job done right then and there. First, you get an instant quote on the phone or through our online form. All we need from you is for you to provide us with a complete description of your car. Be as detailed as possible with the description so we can provide you with an accurate quote. Once you receive our no-obligation offer, you can decide whether or not to accept it. If you accept, all paperwork and payment can be done on the spot and your Hyundai is towed away. And that’s how we do it – quick and easy. Hyundai Car Wreckers Adelaide are fully qualified ‘car wrecking specialists’ with many years of experience. We have an exceptional understanding of Hyundai cars, trucks, SUVs and vans and so can provide top quality service when buying and wrecking them whilst offering agreeable and accurate prices. For an instant quote for your Ford vehicle contact Hyundai Car Wreckers Adelaide at 0477 413 136 or through our online form.